A broken or fractured bone is a relatively common injury that can result from a number of causes, including car accidents, motorcycle crashes, truck wrecks and other personal injury accidents. 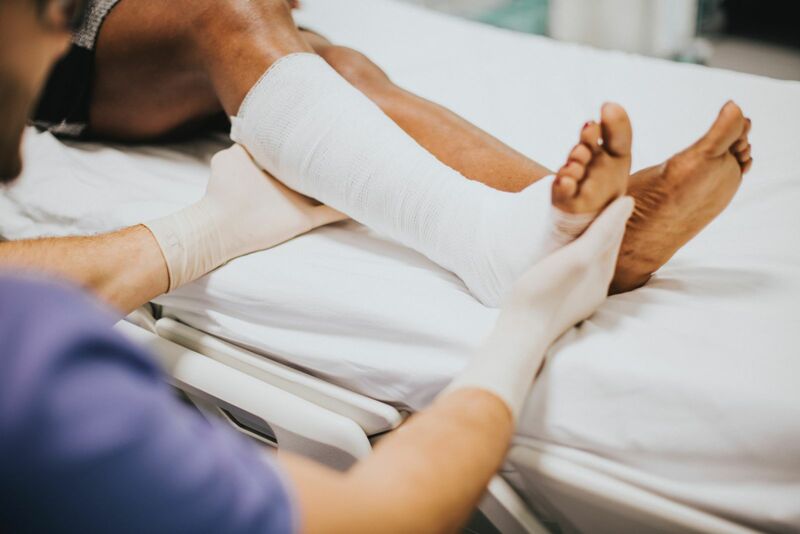 While broken bones are not uncommon in personal injury accidents, bone fractures and breaks are significant injuries that immediate medical attention. Severely broken or fractured bones can be devastating injuries with painful symptoms, prolonged and expensive recovery and rehabilitation. In some cases, complications may arise from these injuries that result in permanent, life-changing limitations. For this reasons, if your broken or fractured bone was caused by another's negligence, you may be entitled to compensation, and you should contact an experienced bone fracture lawyer to ensure your legal rights are protected. One of the first steps in evaluating your broken bone legal claim is understanding what kind of bone fracture you suffered. A fracture is simply a broken bone. A break typically occurs when an external force is exerted on your bone resulting in a crack, snap or splintering effect. Hairline break/fracture: These are small cracks in your bone and are often referred to as a stress fracture. Hairline fractures require careful examination and may be hard to see on x-rays. Partial break/fracture: A partial fracture occurs when there is an incomplete break of the bone. Complete break/fracture: This occurs when there is a complete break of the bone. In these cases, bones are separate into two or more pieces. The type of bone fracture is important because it may indicate the severity of your injury, the treatment and rehabilitation required, potential recovery time, and risk of complications. All of these are important not only for your medical treatment but also for your injury claim. An experienced broken bone attorney will understand these various kinds of bone fractures and will be able to explain to you how the type of fracture could impact your recovery. Closed fracture. A closed fracture is a broken bone that does not penetrate the skin. Open or compound fracture. An open or compound fracture occurs when a bone pierces the skin or when the force that caused the fracture breaks open the skin. An open fracture will require immediate treatment to both stabilize the fracture and clean and close the area to prevent infection. Stable. In stable fractures, the broken ends of the bone line up and are barely out of place. Transverse. Transverse fractures occur along a horizontal fracture line. Oblique. Oblique fractures have a diagonally angled fracture line. Comminuted. Comminuted fractures occur when the bone shatters in three or more pieces and indicate a strong force of impact. Avulsion. An avulsion occurs when a muscle or ligament pulls on the bone and causes a fracture. Compression or crush. A compression fracture occurs when the bone collapses. An example is a spine compression fracture, also known as a vertebral compression fracture, which occurs when one or more of your spine’s bones—ie. vertebrae—fractures and cause your spine to compress. Greenstick. This type of fracture occurs when only one side of the bone fractures and it does not break completely. These types of fractures are more common with children who have softer, more flexible bones. Impacted. An impact fracture occurs when a bone breaks and part of one bone goes into another. Spiral. A break where at least one part of the bone has been twisted. If your broken or fractured bone was caused by another person’s negligence, recklessness or intentional act, you may be legally entitled to compensation. Our Kansas City broken bone lawyer is ready to answer your questions and assist you in achieving a maximum medical and financial recovery from your injuries. Contact our law firm today at (816) 203-0143, or by using the form below to schedule a free, no obligation consultation.